Vehicle evaluation payload built by Fiat Aviazione for ELDO, Europe. Status: Operational 1971. 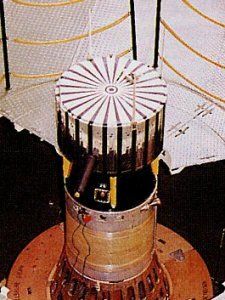 First Launch: 1971-11-05. Last Launch: 1971-11-05. Number: 1 . STV 4, 5 Vehicle evaluation payload built by Fiat Aviazione for ELDO, Europe. Launched 1971. Family: Europa, Technology, Technology satellite. Country: France. Launch Vehicles: Europa I, Europa II. Launch Sites: Kourou, Kourou ELA1. Bibliography: 126, 13237.